Hospice, Designed For The Dying, Is Discharging Many Live Patients : Shots - Health News The hospices that discharge the most patients before their death also make the most money, a recent study shows. A recent study shows a link between high discharge rates for live patients and hospice profit margins. A study published last month in the journal Health Affairs finds that hospices with the highest rate of so-called live discharges also have the highest profits. The lead author is Rachel Dolin, a David A. Winston fellow researching health policy. Her paper found an association between high live discharge rates and high profit margins, but it didn't determine the cause. "It's important to continue to study this area to get a better sense as to whether profits are driving the decision to discharge patients from hospice, rather than patient preferences and needs," says Dolin. To qualify for hospice care, two doctors must certify that a patient is expected to live no more than six months. But patient James B. Nelson discovered that sometimes the doctors are wrong. "It was decided that I was not dying fast enough," he told Arizona Public Media in 2015. "And so, to put it most succinctly, I flunked the hospice program." Nelson died a few months after giving that interview, but his situation isn't all that unusual. Government reports show that the median rate of hospice patients discharged before death has climbed steadily since at least 2000, peaking in 2012 and 2013 at almost 1 patient in 5, though more recently the percentage has declined somewhat. But the rate actually varies widely from one care organization to another. Some hospices discharge fewer than 2 percent of their patients prior to death, while others discharge more than 80 percent. Nonprofits have lower rates of live discharge than for-profit hospices. Regionally, live discharge rates are highest in the South. It's important to understand, though, that when patients are discharged from hospice, they don't necessarily go anywhere. Hospice agencies, whether they are independent or affiliated with an institution like a hospital, usually deliver services to patients in their homes. Medicare pays the bills for the vast majority of patients receiving hospice care, at a cost to the government of at least $15 billion a year. 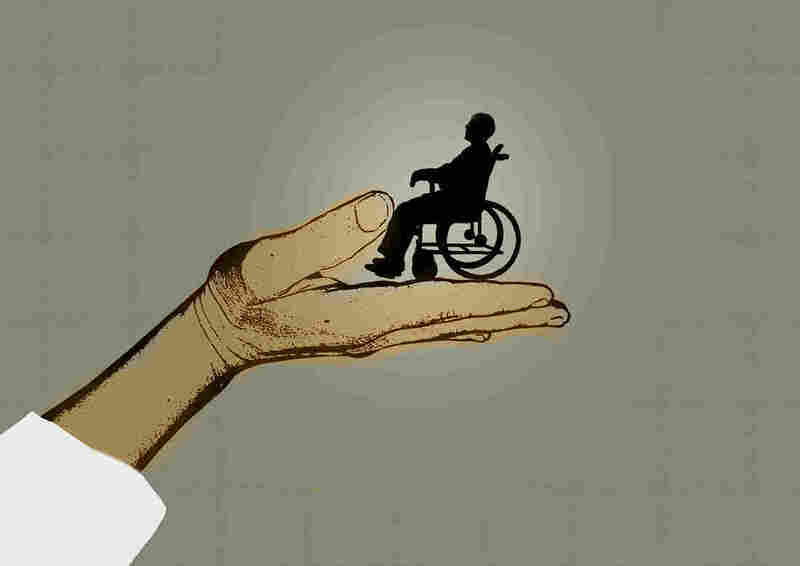 Federal regulators have questioned whether high rates of live discharge mean that hospices are making money by admitting patients who aren't actually dying. But these decisions aren't that clear-cut, says Dr. Joe Rotella, chief medical officer for the American Academy of Hospice and Palliative Medicine. "We see more and more patients that have conditions like Alzheimer's disease or Parkinson's disease that don't always follow a predictable course," says Rotella. "Any association between profit margins and clinical decision-making is inappropriate and not something that the hospice community supports," Keyserling says. That hospice community has nearly doubled in size since 2000. Enguidanos says it has also changed a lot. "Hospice organizations started as grass-root efforts and were largely nonprofit for a long time," she says. "Now we've had a huge increase in for-profit hospices." There's a concern, says Enguidanos, that by discharging patients early, some hospices may be "trying to avoid costs that they should be responsible for." Whatever the shortcomings of some hospices may be, Keyserling says that his biggest worry is that people who could be helped by hospice aren't taking advantage of it in time. He says about half of patients die within 17 days of being admitted. And that turns hospice into "crisis care" instead of the comfort care it's intended to be.